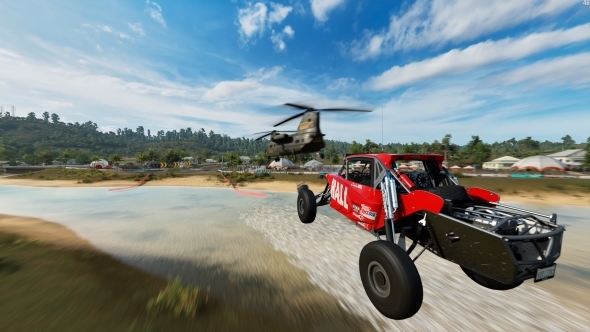 Playground Games, developers of Forza Horizon 3, are planning to experiment in genres outside of racing, and they’re putting together a new team to do just that. If it’s driving fast cars you’re after, check out our list of the best racing games. “One of the things we did recently, which was before Horizon came out was really look up where we’ve come in the last seven years,” Playground Games’ Ralph Fulton told Develop. This, the studio says, led to the realisation that they wanted to expand beyond racing games, branching out with another team and experimenting in other genres. Posts on the studio’s careers page suggests it will be an open-world action game, which makes sense considering their experience crafting gorgeous open-worlds to tear across in cars. They’re currently looking for a senior games designer to work on the new team, and the job description asks for “experience working in the action/shooter genre, preferably with experience in systems design”.